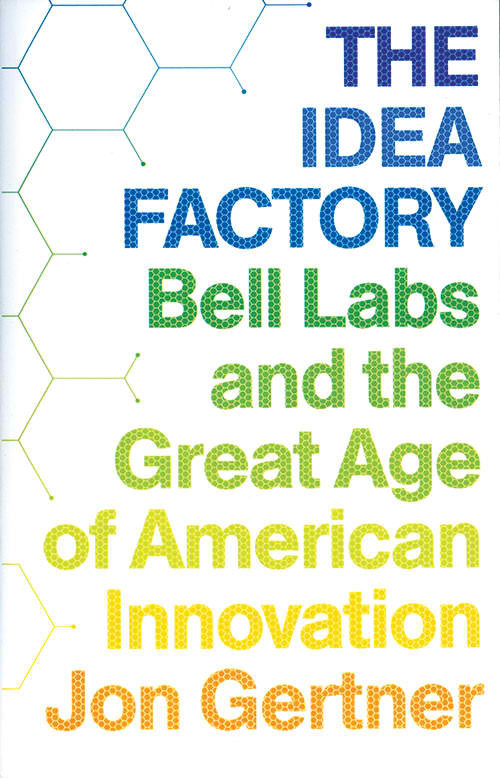 Bell Labs was awesome, and Jon Gertner’s new book The Idea Factory sets out to prove this simple fact. The Bell Laboratories (funded by AT&T when they were a government-sanctioned monopoly) was the place where vacuum tubes were improved and ultimately replaced by another Bell Labs invention, the transistor. The labs went from creating ways to treat wood so telephone poles would last a very, very long time without needing to be replaced to figuring out how cellular telephony would work. It’s not an exaggeration to say that Bell Labs created the future. Why did Bell Labs work so well? It’s hard to say, and Gertner’s book doesn’t have a clear answer. Partly, it was because they had absolutely brilliant people like Claude Shannon, William Shockley, John Bardeen and Walter Brattain. Partly it was due to good leaders like Mervin Kelly and Bill Baker. And partly it was due to the fact they had almost infinite money and resources to throw at a problem. Bell Labs in its heyday was a bastion of pure research – and due to wanting to keep their parent company’s monopoly by staying in the government’s good graces, they’d license their patents to anyone who wanted them for cheap. By releasing these patents instead of profiting off them, the Labs were a definite positive force in science, technology and culture. The Idea Factory is a biography of not only the Labs but of some of the people who made the Labs great. Gertner never loses sight of the fact that while the organization of Bell Labs made it possible to do such great work, it was also the scientists and engineers there that came up with these ideas — but what the Labs did was make it possible for people of all disciplines to mingle and talk about ideas and work together. The chemists were just as important to the creation of the transistor as the engineers and physicists. One of the themes running through the first half of the book is the importance of good teachers. Almost all of the central players in the book were pointed to Bell Labs through high school teachers and college professors who saw their students’ brilliance and interest in all things, and helped shape them, show them how to be good scientists and often times directly told them that they should find a career at the Labs. While not every Bell Labs invention was a hit – Picturephone is the biggest flop mentioned – what they did was amazing. The transistor, Shannon’s Information Theory, the Echo satellite and so much more. Without the Bell Laboratories, the world we’d be living in would be very different — and infinitely poorer. The new tech palaces: visionary HQs, or cursed trophies?